The next OMiG event will be our Christmas Seminar and Party, Tuesday 12th December at 18:00. The main event will be Christmas Networking Party and the evening will open with two practical presentations to set you up for 2018. Claire O’Brien, Head of Marketing for Design Wizard: Optimising images for social media and websites. Evelyn Wolf, Co-Founder and Marketing Strategist of Business Brew: The GDPR and why marketers need to care, priorities for 2018. BOOK NOW. Limited Seating Left. 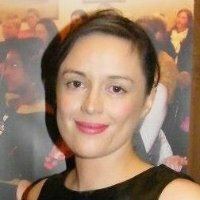 Claire O’Brien is the Marketing Manager at Design Wizard and has over ten years experience as a digital marketing specialist predominantly in the software sector. Her areas of expertise include visual content, demand generation, digital marketing, SEO, email marketing, social media, and advertising. Claire’s knowledge extends to technology, software, and digital trends ensuring she stays ahead of the curve. Claire regularly speaker at conferences and events including online conferences and webinars. Claire is also an accomplished writer and her blogs and articles have been published in numerous sites across the web. Design Wizard (www.designwizard.com) is an online graphic design software that couldn’t have come at a better time. These days everyone needs impressive visual content – from social media posts to event flyers and business cards to blog images. Design Wizard guides you through the image making process step by step so you can create, download and share brilliant images in a fun and easy way. Evelyn Wolf is the co-founder and inbound marketing strategist of BusinessBrew. 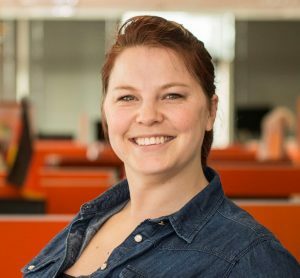 She has built a 15-year marketing career focussed on the digital space and inbound marketing. Her data-driven approach ensures businesses see tangible results from their marketing efforts. Her past clients have ranged from newly developed startups to multinational communications businesses and NGOs. When she’s not driving inbound marketing strategies, she rocks sailing boats. BusinessBrew.io provides Inbound Marketing and GDPR solutions. Startups see success through our easily implementable playbooks. Agencies and established businesses come to us to develop their Inbound Transformation and ensure their sales & marketing activity is GDPR compliant. The BusinessBrew founders met during their tenure at inbound marketing powerhouse HubSpot where they assisted businesses of all sizes and industries as well as marketing agencies in building their lead to customer generation funnels. Finally, we would like to extend our appreciation for our year-long supporters including our main sponsor, AIB. Tonight we are exceptionally grateful to have additional support from the newly refurbished Forster Court Hotel for our finger food for the Afterparty.